Book the Gardens by the Bay combo package and visit one of Singapore's best attractions! 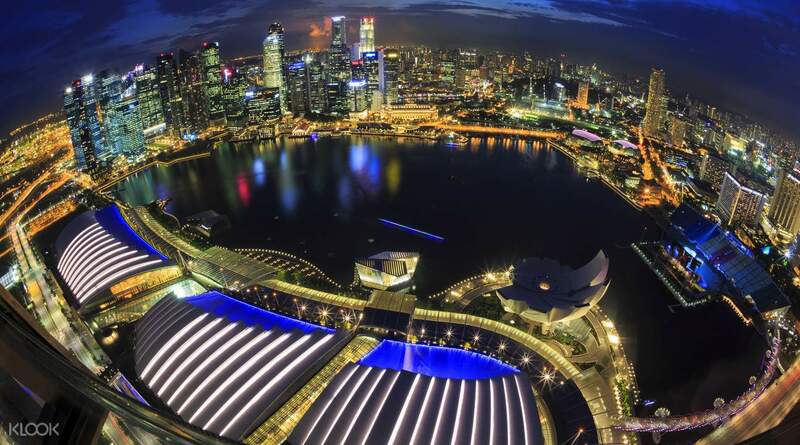 This tour should definitely make every Singapor visitor. The green tour takes you through the city. The orange along the bay. All sights are reached with it. Also for travelers with children the tour is highly recommended. Singapore is a big city. And even though you may have a whole list of sightseeing spots you'd like to get to, getting to all of them in a short time can prove to be quite a feat. Checking location addresses, getting lost in an unfamiliar city and trying to read up on various attractions is no fun way to explore Singapore. 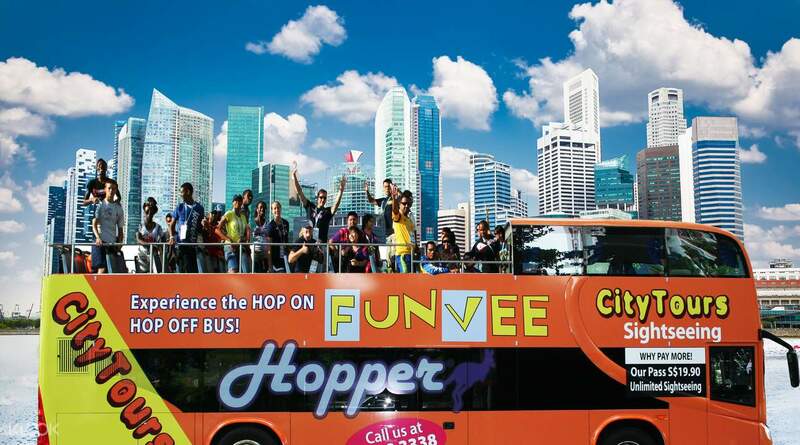 Make your Singapore visit worry free with the 1 Day Hopper Pass and just enjoy the ride! Fantastic spot and venue to visit. Both kids and family will enjoy. 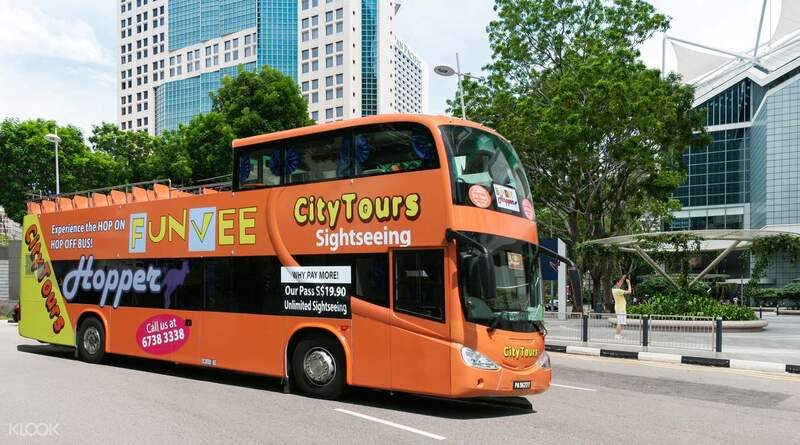 Do take bus since it is convenient option to go around the Marina Bay Area. Avoid the food at China open area since it’s not for Indians. The Marina Bay Gardens is fantasy like place and excellent place. Go for the waterfall and also don’t leave anything there. It’s really unique. Fantastic spot and venue to visit. Both kids and family will enjoy. 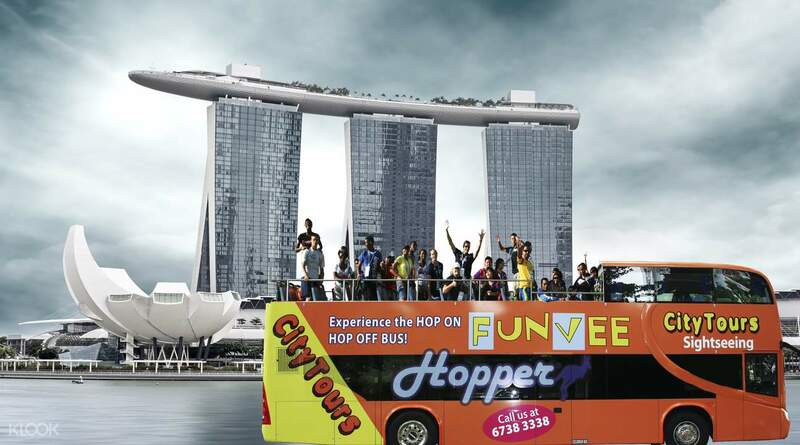 Do take bus since it is convenient option to go around the Marina Bay Area. Avoid the food at China open area since it’s not for Indians. The Marina Bay Gardens is fantasy like place and excellent place. Go for the waterfall and also don’t leave anything there. It’s really unique. So fun and great! a hop off and on are very useful to all travelers to get easily in their perspective destination.. thanks to klook we had a great and amazing experience in Singapore ! So fun and great! a hop off and on are very useful to all travelers to get easily in their perspective destination.. thanks to klook we had a great and amazing experience in Singapore ! It was a great experience we're able to see a lot of palaces with no hassle especially we are travelling with our son. Highly recommended. It was a great experience we're able to see a lot of palaces with no hassle especially we are travelling with our son. Highly recommended. Great way to tour the city if you just have a limited time! Very convenient and easy to use. Gardens by the Bay is also the best! Great way to tour the city if you just have a limited time! Very convenient and easy to use. Gardens by the Bay is also the best! Recommended for those who want to take tour of the city while relaxing on the bus. There are 3 routes availabe. But the time of deprture and arrival for each bus is not on the dot so i gave it 4* but overall it was a nice experience. Booked it with ticket for Cloud Forest and Gardens by the bay for more discounted price. Recommended for those who want to take tour of the city while relaxing on the bus. There are 3 routes availabe. But the time of deprture and arrival for each bus is not on the dot so i gave it 4* but overall it was a nice experience. Booked it with ticket for Cloud Forest and Gardens by the bay for more discounted price.